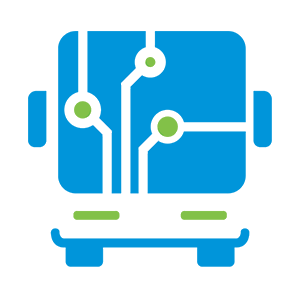 BusLogic Autonomous Ticket Sale is a set of systems and tools for selling, collecting and recording tickets. These systems allow you to sell, collect and record tickets both inside and outside the bus itself. Systems are tailored to the needs of users and can be combined in various ways for better efficiency. Sales, collection and registration of tickets before departure on the bus can be done using two systems in accordance with the needs of the bus carrier. These systems are BusLogic Cash Terminal and BusLogic Android Terminal. The BusLogic Cash Terminal is used for selling and chargeing the tickets by driver itself and the system stays fixed in front of the bus driver while BusLogic Android terminal has the ability to sell tickets on the move during the ride on bus when the engagement of the conduit is required due to the high frequencies of passengers. BusLogic Ticket Sale outside the bus is a system that allows tickets sale in dedicated locations such as Caller counters at bus stations, separate facilities, and other locations. The tickets sale outside the bus is divided into two segments: the sale by an authorized person (such as a station salesman) and ticket purchase self-service when there is a possibility for a passenger to independently purchase the tickets and other services. Electronic Bus-pass System is a set of sub-systems and tools for a complete recording of all types of bus-pass cards, such as monthly, time, trip, season, prepaid cards and various types of electronic wallets. The system represents the state-of-the-art concept of registering the passenger in the vehicle and as such provides more comfort to bus carriers in the process of selling tickets, as well as the ability to create various types of tickets and passes for specific groups of passengers . BusLogic Electronic Bus-Pass System offers a complete solution of electronic card recording with absolute control of passenger flow by bus carrier. Ticket sales equipment is a set of all devices and items necessary for ticket sale system operations. This equipment allows the entire system to be adapted to the special conditions for working in buses and other types of vehicles.This group of devices and items include various carriers, device holders and several different types of power and adapters. Some of these devices are designed specifically and designed by BusLogic team for the smooth operation of all devices and systems.